A megacity is a city with a population larger than ten millions. 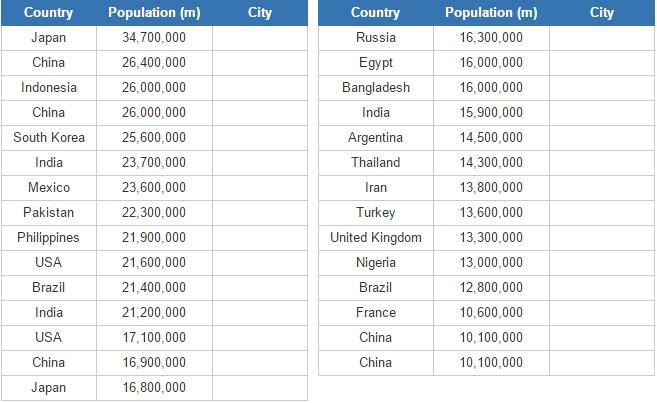 There are currently 28 megacities in the world. Can you name them all?